What’s the scoop: Alex isn’t quite herself since the mind wipe to protect Kara’s identity. 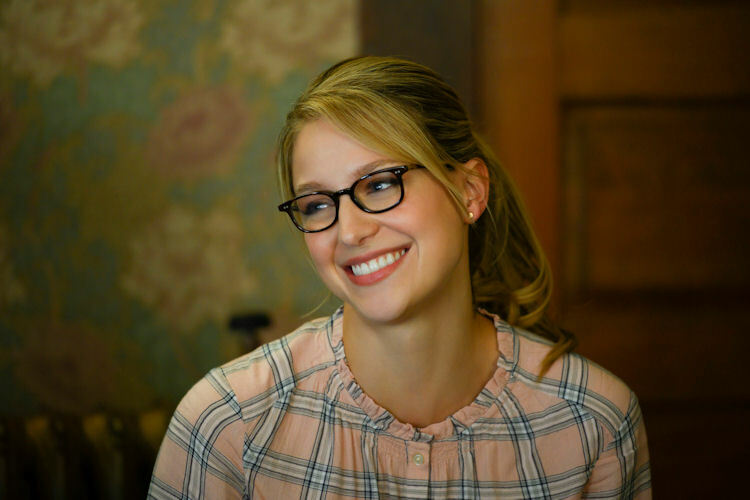 There are gaps in her memory that might not seem important (she forgot Kara’s favorite movie), and the wipe created a butterfly effect that has changed her very core. Kara volunteers to shuttle Nia to Nia’s utopian hometown for their annual harvest festival. Nia is nervous about coming clean to her family about discovering her powers, especially since everyone in her family believes Nia’s sister would be the one to gain the dreamer abilities — she was born biologically female (Nia wasn’t), and the power passes to one daughter per generation. These volatile situations need a catalyst, so let’s throw in some Sons of Liberty, and some gamma-irradiated party pills (from the Supergirl clone; long story) that turn users into hulking brutes (pun intended). Meanwhile in B-plot land: Jimmy is selling his soul for his love of Lena. Once of his young reporters works in accounting at Lena’s company, and stumbled onto a shadow program in the genetics division — which of course, is Lena’s mad science experiment. Jimmy tells the reporter to follow the source, but run everything by him first. Later on, Jimmy, goes to confront Lena about the sloppiness of her covert programs, and she’s acting so damned adorable trying to win the next game night, Jimmy doesn’t want to kill the mood. So, instead he kills the story by lying to his reporter, saying that everything was cleared by the FDA. What about the action: We get a few scenes of frat boy rage monsters tearing up a party. Supergirl takes care of business, but Alex is short with the hero, which crushes Kara’s spirit. Nia has a dream of her mother’s death in the car on the way to her hometown, but keeps it to herself. We learn her sister has been waiting for this power to manifest itself, and has become an expert on dream interpretation. Nia know she’s making it up as she goes along, and wants to transfer her power to her sister. Nia has a dream meeting with her mother to reveal her powers, but her mother receives a fatal spider bite, and before anyone could help. This sets up the event where the sister stories cross paths, as the festival becomes a memorial service for Nia’s mother, and the Sons of Liberty take the pills from the small-time dealers who are peddling them to help trash the festival. A third sister enters the picture. She is the sister of one of the drug dealers, and trying to make it through college, despite life dragging her down at every opportunity. She too finds a pill, and decided to channel her rage to defend herself. What’s next: Nix explores her no longer inner superhero, and the Son of Agent Liberty picks up his imprisoned father’s torch. And. the Superclone is sick. Last impressions: This episode continues the rediscovery of the show’s emotional core. During the big fight Alex and Supergirl see a particular confrontation from opposing viewpoints. Kara instinctively protected the alien, and Alex protected the human, because despite it looked like the girl was on the side of the terrorists, Alex knew she was simply defending herself. Nia saves her sister from a rampaging hulklet, but her sister realizes Nia was the one who has the powers. In a fit of anger and embarrassment, Nia’s sister lobs a “you shouldn’t have the powers because you aren’t actually a daughter” bomb on Nia. 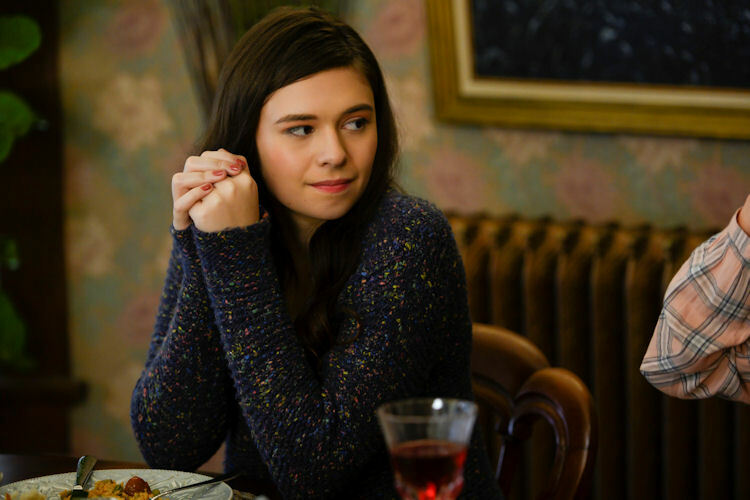 Nia is devastated by the remarks and Kara — who is having sister issues of her own — tries to express that she can empathize, but Nia isn’t buying it, because Kara isn’t an alien. At that point, Kara pulls the car over and reveals that she’s Supergirl. Kara tells Nia a little of her own recent history, and says she let Nia on the secret because Nia needed someone who empathizes and understands her plight. It’s a powerful moment the series took great strides to work toward. More importantly, it reminds us all that empathy and understanding of others, no matter your relationship, is something to be celebrated. And, it doesn’t get any more Supergirl than that.